Since his first term, Netanyahu has railed against the 'leftist, monopolistic' media and insisted it must be diversified. But a close review reveals an obsessive, paranoid prime minister whose real aim is full control over a weakened press that sings his praises. What made Israel's Supreme Court chief snap at the justice minister? At 1:36 P.M. on March 17, 2015, a senior Israeli journalist fielded a phone call. “I’m transferring the prime minister,” the voice on the other end told him. “Hello, Mr. Netanyahu,” the reporter began. The reporter had no idea what software the prime minister was alluding to. He also sensed paranoia in Netanyahu’s next remarks about a global conspiracy to topple him that included Washington, espionage agencies, the V15 movement that sought to unseat him, opposition leader Isaac Herzog and the Israeli media. That night, Netanyahu learned that his foreboding had been in vain and his forecasts were wrong. He would have no trouble cobbling together his fourth governing coalition. 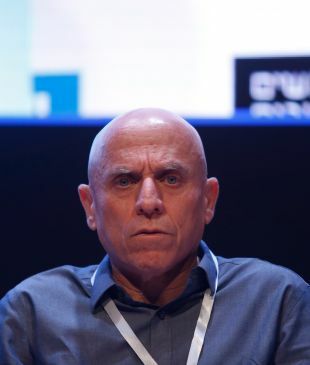 At the Tel Aviv Exhibition Grounds, hundreds of Likud members shouted chants against Arnon Mozes, the publisher of the tabloid Yedioth Ahronoth and no fan of Netanyahu. 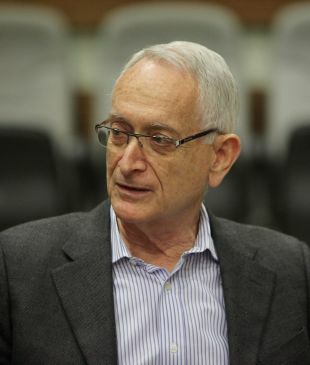 Mozes had used all his media artillery in the hope that Netanyahu would be replaced. In fact, that night Mozes’ name was voiced a lot more than that of Netanyahu’s rival, Zionist Union leader Isaac Herzog. Mozes was marked as the enemy who had been vanquished. Likud supporters passing by the reporters’ table at the event made rude gestures at the Yedioth reporter there, Yuval Karni, while gloating about Mozes’ defeat. A leading Likud member who knows Netanyahu well and witnessed the events that night told Haaretz that the 30 seats Likud achieved that day in the 120-seat Knesset were a turning point. “You have to understand, the man was bracing for a loss. After the election, he got it into his head that he had won on his own, that he had vanquished Mozes and the entire media establishment. The goal he set himself after the election was to change the balance, to gain control of the business,” the Likud member said. “Now he’s set his sights on commercial television in Israel. He told us explicitly: I already handled the print media when Israel Hayom was founded,” he added, referring to the free daily published by American casino billionaire Sheldon Adelson. As his model, Netanyahu likes to mention Theodore Roosevelt, the U.S. president who fought monopolies and believed in enlightened capitalism and free competition. Netanyahu declares that he wants to introduce the same spirit into Israel’s media market. He speaks with great respect about pluralism and variety, but critics say that’s a smokescreen to conceal his real motive: control. Israel Hayom did in fact break Yedioth Ahronoth’s aggressive monopoly, even if its critics say its makes a mockery of journalism. Netanyahu is seen as seeking an obedient media that won’t look into police investigations against him or his wife’s outbursts at employees at the prime minister’s official residence. He wants the media to recognize his greatness. Ostensibly the revolution that Netanyahu seeks in Israeli television is positive: to break Channel 2 News’ monopoly. But he and his associates want the future competitor to be backed by a benefactor in the Adelson vein. “Maybe it will be a rich and conservative Jew from the United States who supports the Israeli right, and will serve as a counterweight to the news broadcasts on Channel 2 and Channel 10, which present only left-wing positions,” said a senior Netanyahu associate. Although Netanyahu often mentions competition as an objective, he has moved to eliminate the new public broadcasting corporation that is designed to be free of meddling by politicians as it takes on Channels 2 and 10. He will soon have a chance to close Army Radio as well. About a year ago he pressured the defense minister at the time, Moshe Ya’alon, not to extend the term of Army Radio chief Yaron Dekel, a close friend of a Likud political rival, former minister Gideon Sa’ar. Netanyahu even had an alternative candidate, Yehoshua Mor Yosef, a PR man and former spokesman for the Yesha Council of settlements who’s known for his pro-Netanyahu tweets. Ya’alon rejected the demand, seeing Netanyahu’s attempt as part of a deeper process – augmenting his power by choosing ineffectual gatekeepers, weakening the Supreme Court and eliminating critical media. The coming months will make clear whether Netanyahu will actually push through this revolution or, as in the past, just talk about it. If he comes through, he’ll gain an uncritical media that focuses on his successes around the world, as he suggested to investigative reporter Ilana Dayan at a meeting with people from Keshet, one of the two Channel 2 franchisees. Netanyahu aims to dismantle the new public broadcasting corporation, bring in one of his billionaire associates as a competitor to Channel 2, end Army Radio’s independence and batter Haaretz's English edition, which he thinks damages Israel’s foreign relations. (Adelson once proposed acquiring it.) Netanyahu would also apply pressure on journalists he considers subversive. He prefers sycophantic journalism like that at Israel Hayom and the Walla website. Freedom House, a U.S.-based group that examines democracies around the world, has already downgraded Israeli journalism from “free” to “partly free.” So what might be the verdict when Netanyahu leaves office? June 2015, three months after the election. Haaretz’s Uri Blau wrote a story on Adelson’s recommendation to Netanyahu that he intervene regarding the regulating of Israel’s offshore natural gas industry. The story was published during the government’s negotiations with U.S. company Noble Energy and Israeli tycoon Yitzhak Tshuva (one of Keshet’s owners), to establish a controversial gas monopoly. The antitrust authorities had refused to approve the program. On the day of publication, Netanyahu called Haaretz Group’s publisher, Amos Schocken. He denied helping Adelson with any economic interests, was furious at the headline and implied a threat against Schocken. In 1996, when Netanyahu was first elected prime minister, he claimed – with considerable justice – that he had been the object of unbridled media attacks. “For several weeks they explained that the person elected to head the Israeli government was some CIA agent,” he complained. Before his defeat in 1999 he made his “They’re a-f-r-a-i-d” campaign speech. After his temporary retirement he was conciliatory: “There was a mutual missed opportunity here,” he said about his relations with the fourth estate. When Netanyahu was elected in 2009, with Israel Hayom’s vigorous support, he feared mainly Mozes, the Yedioth Ahronoth publisher. Someone who met with him on the eve of the election told Haaretz that Netanyahu said he would be happy to achieve détente with Mozes, hinting he could even get Israel Hayom closed if his relations with Mozes improved. Several of his ministers, some of whom have worked with other prime ministers, say Netanyahu is obsessed with the media. Politicians who have worked with him say that for years he suffered from “Mozes paranoia.” “He’s convinced that the publisher of Yedioth Ahronoth has a safe with files on politicians, and that with these files he activates politicians to cause his downfall,” one source said. But now Netanyahu is in the best position of any Israeli prime minister in recent decades in terms of his relationship with the media. Israel Hayom, the country’s most widely distributed newspaper, is his clear propaganda tool. 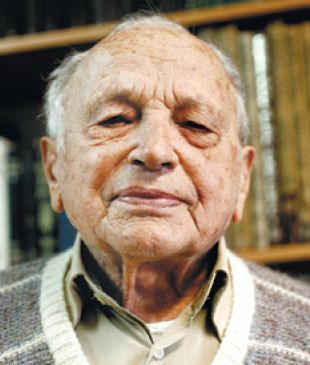 In recent months it has prevented Dan Margalit, its most senior commentator, from writing daily. On the eve of the election Margalit lambasted Netanyahu’s U.S. Congress speech against the Iranian nuclear agreement, and later posted several negative tweets. Margalit’s long-term relationship with Netanyahu ended, as did his high profile at the paper. In recent days Margalit opened a Facebook page to replace the platform he has lost. He criticized his Israel Hayom colleagues, who are encouraging Netanyahu in his attempt to eliminate the new public broadcasting corporation. “The commentators of His Master’s Voice support Benjamin Netanyahu uncritically on every issue,” he wrote. Even Mozes, who before the election broke the rules with the sheer quantity of negative articles about Netanyahu, decided to lower the volume. 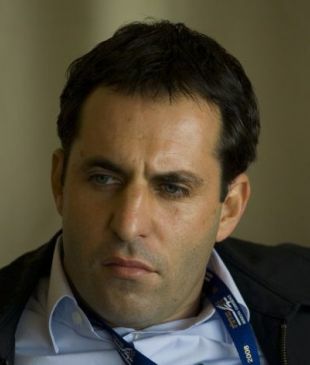 Eran Tiefenbrunn, editor-in-chief of Yedioth’s Ynet website, had engineered the harshest blitz against Netanyahu but is now one of his advocates. A few months ago Netanyahu offered him jobs, including one as the head of Israel Hayom’s new-media department. Some of the people who have worked with Netanyahu insist that Sara wields tremendous influence in his battle against the media. “She’s his communications network,” said an associate. Netanyahu severs connections with journalists who criticize his wife. Over the years the two have targeted editors and journalists they consider hostile. Still, nowadays she receives PR from two prominent websites: Walla owned by Netanyahu’s friend Shaul Elovitch, and the nrg website, which is also controlled by Adelson. She was also the subject of a prime time interview on Channel 2 News devoted entirely to her relationship with the late President Shimon Peres. Netanyahu was interviewed by phone on Keshet’s morning program, an interview worthy of Ceausescu’s Romania. Udi Segal, the Channel 2 News political correspondent, says Netanyahu is the most pampered prime minister ever in terms of media treatment. But the overwhelming majority of media outlets treat him with kid gloves. His whip is the Communications Ministry, of which he's the minister. Against this backdrop, some people did not answer Haaretz’s questions for this article about Netanyahu’s takeover plans, pressure from his supporters, conversations with him, and the many requests by him and his associates to improve his image. Reshet, the second franchisee on Channel 2, is also convenient for Netanyahu. In the past year it has given him flattering exposure including a 2014 film by Sharon Kidon about learning disabilities; Sara Netanyahu appears as an interviewee in her favorite role: child psychologist. In 2013 a documentary was aired called “A Day in the Life of the Prime Minister” as part of a day devoted to education. In the film, which praises the prime minister, six children interview him about his work, noting that his home is very modest. Now Reshet is working on a documentary about Sara Netanyahu’s father, Bible teacher Shmuel Ben-Artzi. The film was initiated by Nati Dinnar, who created the film “Sabena Hijacking – My Version.” About two years ago Sara mentioned the idea of producing a documentary about her father. Director Yariv Mazor was chosen to carry out the project, and Reshet CEO Avi Zvi approved a budget of about half a million shekels ($131,000). Although the film is supposed to be about the Ben-Artzi family and the father, sources say the emphasis will be on the prime minister’s family, and the Netanyahus’ two sons will be the lead players. 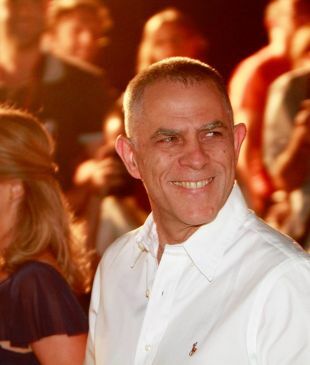 Zvi recently said something to a colleague that would have pleased the prime minister: “At Reshet you won’t find investigations on Sara Netanyahu’s harassment of the employees at the royal residence.” He said the subject simply didn’t interest him. But though the balance is clearly in his favor, Netanyahu knows no rest. “Do you not write a single good word because you’re afraid of being ‘Ziffered’”? he asked a leading journalist, referring to Haaretz’s Benny Ziffer, who was harshly criticized for being fascinated by Sara and impressed by her husband. “I know that if I evacuate settlements you’ll support me as you did my two predecessors,” another journalist quotes Netanyahu. Some weeks Netanyahu contacts Channel 2 News chief Avi Weiss more often than he speaks to most of his ministers. Channel 2 reporters say Weiss protects them from Netanyahu, despite the heavy pressure. But some say a small crack has appeared since the election: exaggerated caution when the information being checked is related to Sara Netanyahu. Even the interview with her on the day of Peres’ death is an indication of the zeitgeist. But several of the journalists with whom he speaks replied to his complaints by mentioning a blatant fact: the existence of Israel Hayom. “And previously there was no pro-Olmert and pro-Sharon and pro-Tzipi [Livni] and pro-Bougie [Isaac Herzog] newspaper?” he asked, referring to Yedioth Ahronoth. ”Do you think I can tell that redhead what to do? he asked rhetorically, referring to Adelson. “He supports my policy,” Netanyahu told another person in the media. “If I change it he could, for example, support ” Netanyahu hesitated “... Bogie” – Moshe Ya’alon, the defense minister that Netanyahu replaced with Avigdor Lieberman in the spring. 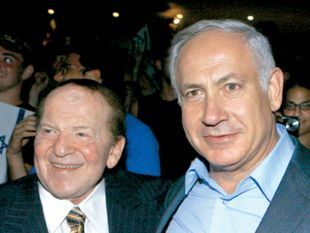 This helps show that Netanyahu is in Adelson’s thrall, the source said. Netanyahu is the first prime minister to also be communications minister and control the fate of the channels he seeks to restrain and educate. “The communications minister who also serves as prime minister,” says veteran journalist Amnon Abramovich. Because he fills two positions, Netanyahu has long meetings, sometimes at night, with the bosses of the media world: the owners and managers of the TV channels. Moshe Wertheim, Udi Angel, Yitzhak Tshuva, Yossi Varshavsky, Modi Friedman, Avi Zvi and Avi Nir are only some of the people Netanyahu has invited for marathon meetings in recent years. Sometimes he invites the directors of media companies and channels for a lecture on the urgent need to establish a gas monopoly or about Israel in the era of globalization. After the flattering one-on-one come the high-pressure phone calls in which he aims to get a news item removed, or to protest alleged one-sidedness or to defend his wife. September 2016. Netanyahu is standing in front of a blackboard at a meeting with Keshet people in the Prime Minister’s Office. He’s sketching a self-portrait with a very long nose. “What about Israel Hayom? How does it portray you?” asked one of the people at the meeting. Prime Minister Benjamin Netanyahu in interview with BBC Persian (screenshot). Netanyahu surprised everyone by questioning Israel Hayom’s influence. “First let the pro-Bibi newspaper be as powerful as the anti-Bibi newspaper,” Netanyahu said, referring to Yedioth Ahronoth. “I opened the economy to competition,” thundered Netanyahu, instructing his adviser to display a graph showing the increase in GDP per capita. “There’s one sector that was closed to competition,” he said, referring to the media. “And that sector was controlled by can I say the name? Voldemort,” he added, likening Mozes to the villain from the “Harry Potter” books. “For years that guy controlled all the moves here. To a great extent, he controlled prime ministers. “And I took over and wouldn’t agree to play his game. He controlled 70 percent of the market here. He has an investigative department that works overtime. The man worked with the methods of a ” “Mafia?” suggested one of the participants. Someone remarked that two political correspondents at Channel 2 and Channel 10, Amit Segal and Akiva Novick, were born on the same street in the West Bank settlement of Ofra. “Yes, yes,” Netanyahu said dismissively in a calm voice. He often denigrates the media as left-wing, but actually he’s most perturbed by journalists who overtake him on the right, or as he dubs them, “the Bennettists,” after Education Minister Naftali Bennett, chairman of the religious-Zionist Habayit Hayehudi party. He referred to “Ulpan Shishi, Channel 2’s Friday evening news program. The message to the Keshet people was clear: Netanyahu is planning a revolution in commercial television that will include splitting the channel, removing barriers and allowing a new competitor. His associates recently claimed that someone as wealthy as Adelson was willing to take on the job. But is Netanyahu really planning a revolution or does he only want to mind the guillotine? 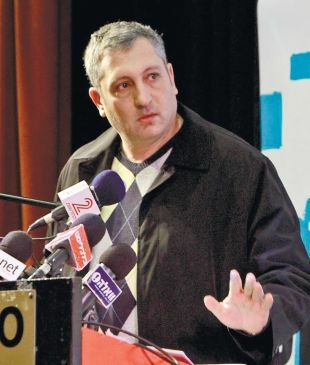 The director general at the Communications Ministry, Shlomo Filber, is the alter ego. In recent months he has met several times with the CEO of the new public broadcasting corporation, Eldad Koblenz. He has made requests regarding the employees at the outfit scheduled to rise on the ruins of public broadcasting. One of Filber’s main demands was for Koblenz to drop Shilo de-Beer, a former editor of Yedioth, as the corporation’s special adviser, but his request was turned down. Three weeks before being hospitalized for a stroke, former President Shimon Peres asked to meet with Koblenz and news director Shlomit Avraham. Peres was disturbed by reports about Netanyahu’s intention to prevent the establishment of the new corporation. At the end of the meeting Peres promised to try to help the fight against Netanyahu’s bizarre plan to bring down the corporation. Peres didn’t know the extent of Netanyahu’s resolve. Several ministers said this week that Netanyahu was willing to go all the way, even to a new election, to have the corporation closed. In 1995, on the eve of Netanyahu’s first term as prime minister, he told people he wanted to privatize the Israel Broadcasting Authority, which he claimed supported Yitzhak Rabin wholeheartedly. “Channel 2 News is much more evenhanded,” he said at the time. Once in office, Netanyahu tried to turn the Israel Broadcasting Authority into a propaganda tool. He supported the proposal of then-Communications Minister Gilad Erdan to establish the new corporation that’s slated to replace the IBA. Last March, he even met with Koblenz (together with Filber) in a pleasant meeting that didn’t portend the summer storm. The corporation is seeking right-wing media people, out of a clear instinct for survival. The list includes Shimon Riklin and Emily Amrousi. “There’s a clear desire to populate the corporation with dyed-in-the-wool right-wingers,” one source said. But Netanyahu experts are regarding this attempt with a degree of pity. “Netanyahu isn’t interested in reinforcing the media with right-wingers, but only with his own people,” one said. Regarding the text message to "State of the Nation," Nir Hefetz said: "This never happened. I have always admired, respected and liked the show, its legitimate satire and its talented stars, even in its previous incarnations at Reshet. I've never said anything like this, and I intend to sue for libel in this case as well if you smear me with such a fallacious and baseless tale." The Prime Minister's Office said: "It would be interesting to know if the knights of freedom of expression at Haaretz will publish our response in full, including this introduction. The series of lies and distorted slander that you attribute to Prime Minister Benjamin Netanyahu only proves yet again how slanted and tendentious this newspaper is against him, and to what extent you distort the truth. "We aren't surprised by this. Over the years, Haaretz has turned into a newspaper that slanders the Israel Defense Forces and Israel around the world, and doesn't represent even a shred of the varied stances of the broad Israeli public. No wonder that the public has lost faith in you. We can only hope that the fact that the DuMont Schauberg media group – which dealt with disseminating Nazi propaganda during World War II – has purchased 20 percent of Haaretz shares is not linked to this atmosphere. "The vast majority of Israel's citizens understand that the appropriate and democratic way to balance your slanted journalistic conduct is to open the market to more and more competitors. This competition will let more voices be heard in the media, alongside your and many of your friends' uniform and politically slanted voice. "Prime Minister Benjamin Netanyahu will continue to lead responsible policy that will open the media market to competition and to a variety of opinions that will reflect all parts of the people in a fair and balanced way."